Rachel Duvall participated in the inaugural Office Hours in 2016 and was subsequently selected for our first In Focus exhibition, which highlights the work of one artist from that initial group of meetings. Her work was notable for its exquisite craftsmanship and for the artist’s clarity of vision. 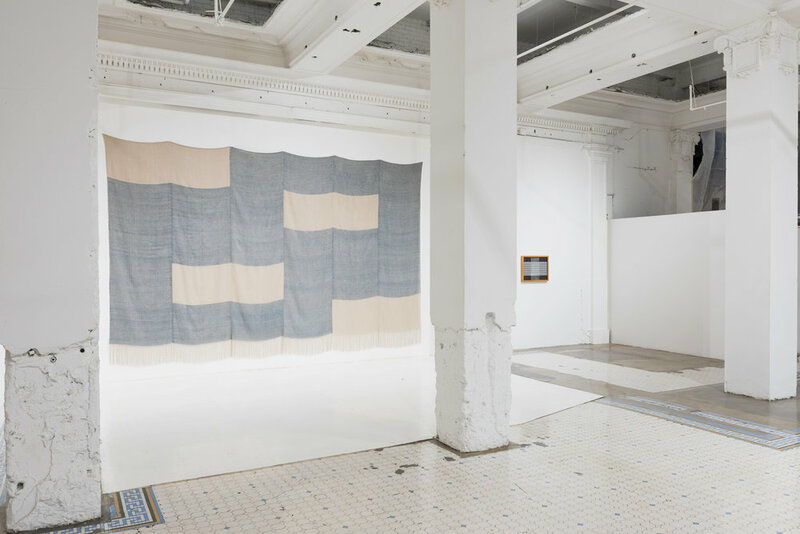 Duvall creates textiles that not only challenge the possibilities of minimalism but also examine a personal tendency toward order. For this exhibition, she has created two new wall hangings, her largest works to date. They accompany other woven works as well as new prints that are figuring more prominently into her process. Rachel DuVall’s preparatory process can last for more than a month and involves measurements, calculations, and the creation of a blueprint drawing for each work. 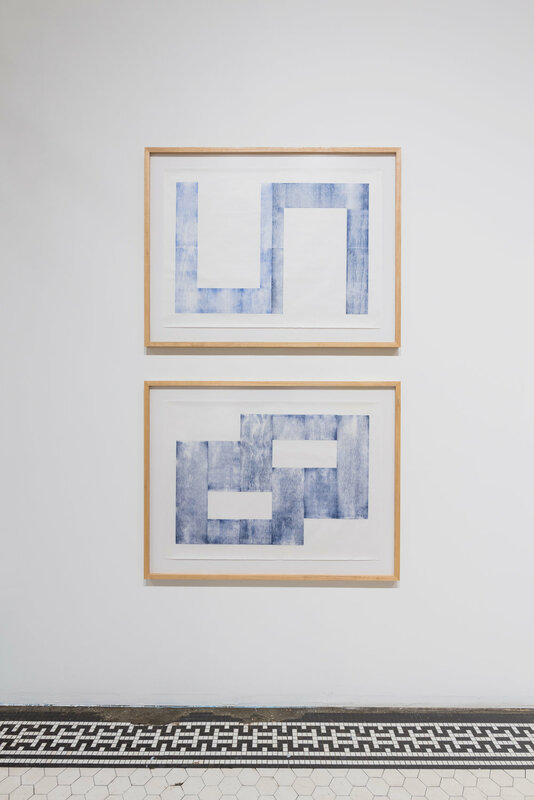 Her recent work includes woodblock prints that are situated between the concise planning of her drawings and the looseness of her finished weavings. 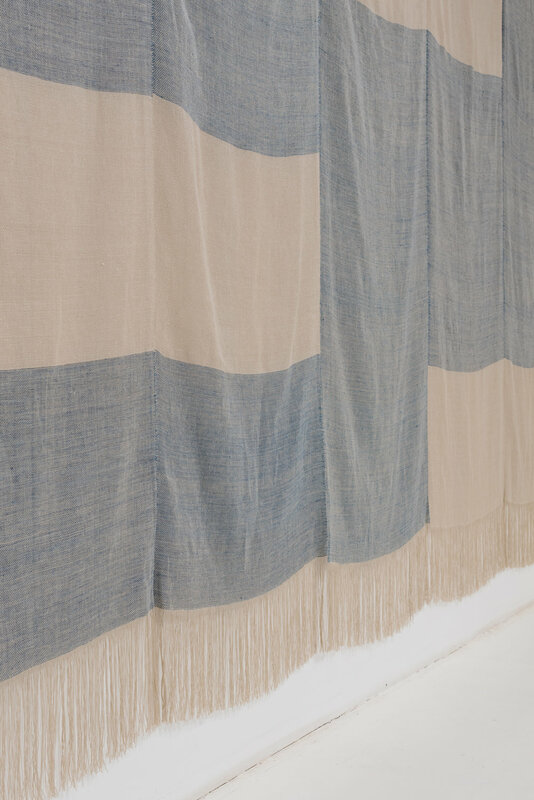 detail of Untitled, 2017, linen, natural dyes, 192" × 136"
Untitled, 2017, linen, natural dyes, 192" × 136"
Untitled is DuVall’s largest work to date and her first full-scale draped piece. It was made specifically for this space. By experimenting with different methods of display, such as framing, hanging, and draping, the artist is able to highlight different features of the textiles. Draping adds dimension and changes how color reads, while framing highlights seams and imperfections. 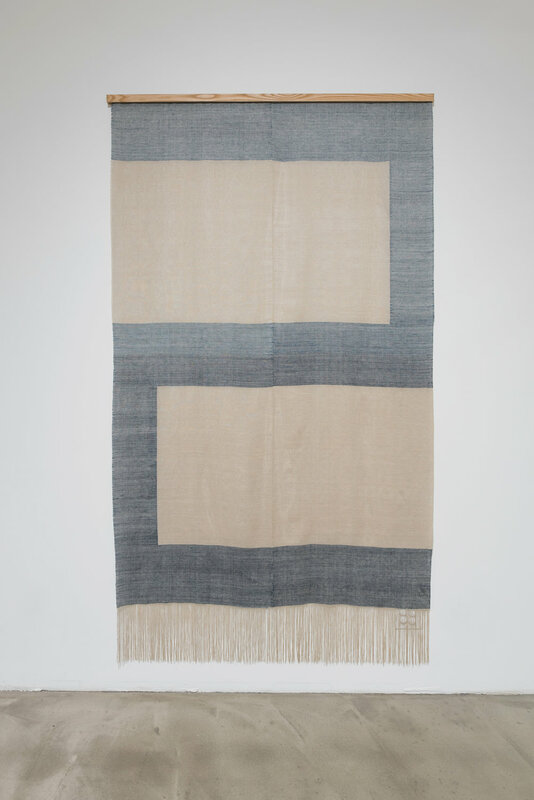 Untitled 2017, linen, natural dyes, ash; 64 × 115"